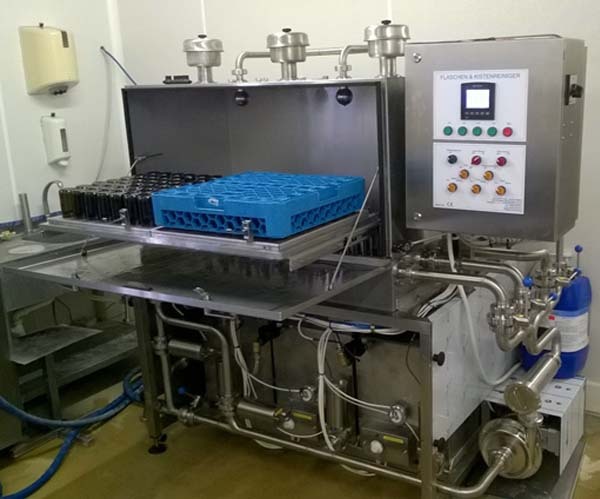 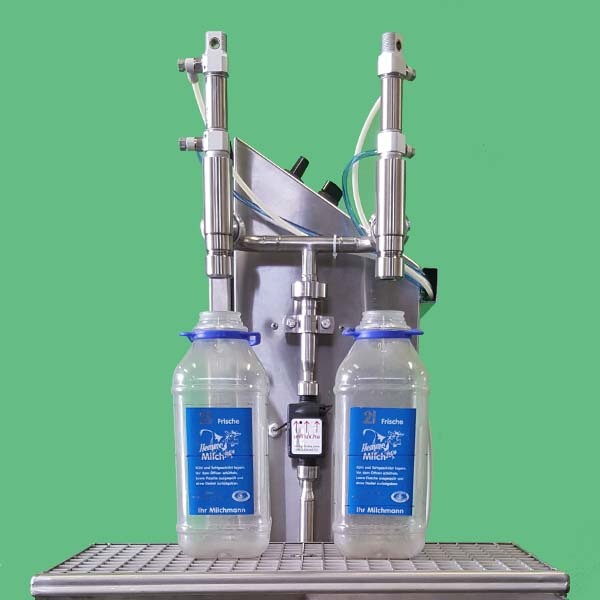 Manually driven filling equipment for liquids with 1- 4 heads for filling cups, glasses, bottles and buckets placed in crates. 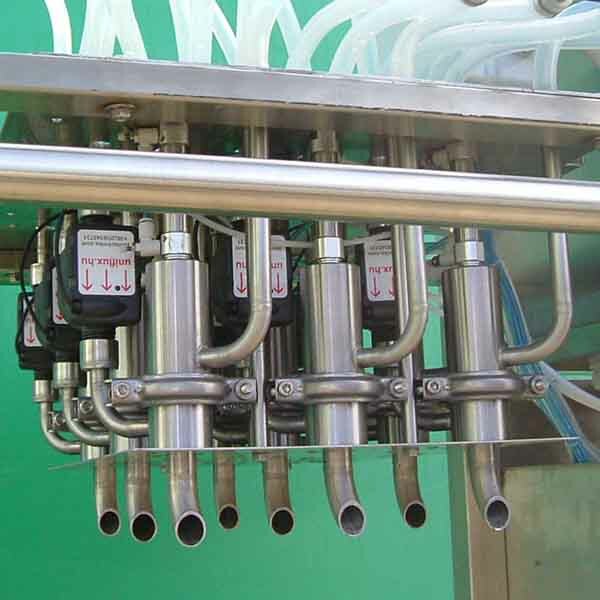 1,2,3 or 4 dosing heads with filter inserts. 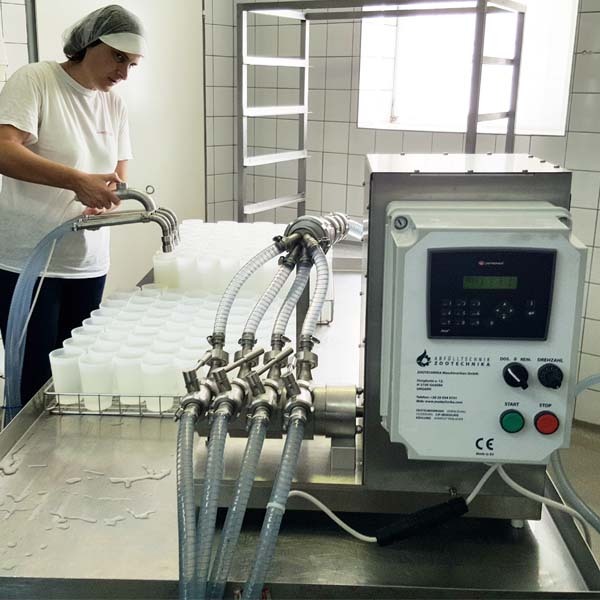 The control cabinet has an additional stainless steel cover against splashes, the filling uniformity setting is manually.